*Laura Raynolds, Ph.D., associate professor of special education and reading, SCSU; research affiliate, Haskins Laboratories (moderator). Cheryl Durwin, Ph.D., professor of psychology at SCSU and a Literacy Coalition board member, was the event’s primary organizer. Christine Garber, Connecticut director of Reach Out and Read, was also instrumental. 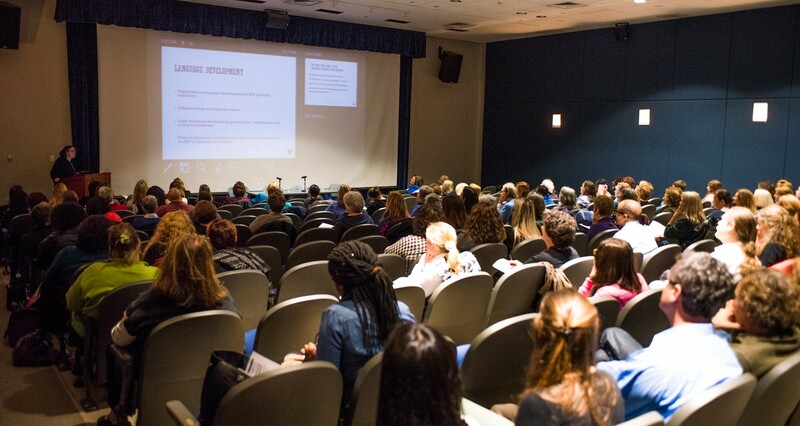 The audience included numerous early childhood teachers as well as various other educators, researchers, nonprofit staffers, and volunteers — not to mention parents. After welcoming remarks from Cheryl Durwin, moderator Laura Raynolds introduced the panel, beginning with Perri Klass. Perri Klass is a pediatrician, a professor of journalism, an author of books, a columnist for the New York Times, and a longtime leader of Reach Out and Read, through which pediatricians and other medical providers around the country discuss reading with parents of young children and distribute books. Her presentation was on how “Books Build Better Brains.” Highlighting aspects of “early brain and child development” (or EBCD — “the most important thing in the world”), she emphasized that it “happens in large part through interactions and relationships,” which she underscored as “hugely important.” By reading to young children, parents or educators are teaching “responsiveness” and cultivating “routines, structures” that will help children “feel safe.” According to Dr. Klass, “Your baby will love books because your baby loves you.” She acknowledged that cognitive and social/emotional development occur “over time,” through many experiences, but we should recognize key “windows” for learning. Such learning is both positive and protective. There is a “proliferation” of “connections, of synapses” before “selective pruning” advances, for example to focus on the most useful sounds in a given language. Therefore the number of words as well as “the quality, the nature of the language” matter. In addition to citing the 1995 Hart/Risley study of the substantial “word gap” evident by age 3, correlated with a family’s socioeconomic status (SES), Dr. Klass mentioned a 2013 Stanford study by Anne Fernald et al. that found a 6-month disparity in children’s “processing speed” by age 24 months — that is, the average “higher SES” child of 18 months could process language at the speed of the average “lower SES child” of 24 months. (2) So, Dr. Klass said, “lack of stimulation” can be a problem that affects a child’s trajectory early on. Further, since “adverse events and toxic stress” (see a study of Adverse Childhood Experiences, or ACE) can have harmful effects, children need the “buffer” from stress that security provides. She said, “That’s why it matters so much” that we start early, reading to and with young children: prompts and response, “face time and lap time,” story structure and sequence, voice and visuals and print are mutually reinforcing. As her August New York Times article described, a recent functional magnetic resonance imaging (MRI) study revealed the activation of key regions of the brain when kids were exposed to picture books with appropriate text. As “we were designed to talk” rather than to read, the aural and the visual are closely linked in facilitating gradual understanding of print. Since its founding more than two decades ago, Reach Out and Read has deployed medical providers to build upon such understandings to help families read to their babies. The program has doctors and nurses offer guidance about “developmentally and culturally appropriate” ways to read to children, beginning at age six months, or earlier. Nationally Reach Out and Read touches some 4.6 million children annually through more than 20,000 medical providers. In Connecticut, tens of thousands of kids are served each year. The program includes volunteer readers, encouraging evaluation results, and Web resources in Spanish as well as English (and books in additional languages). *Social-emotional factors (e.g., modeling patience, fostering attention, learning “to interact reciprocally” and “take turns” and “identify emotions”). Myra Jones-Taylor is Connecticut’s first commissioner of the Office of Early Childhood (OEC), established in 2013. A cultural anthropologist, she is also — like the other speakers — a mother. She began her presentation on “Early Literacy and Early Childhood Education” by recounting an incident from the night before, when her own 10- and 12-year-old children recalled having learned the word “doldrums” years before from a book by children’s author Bill Peet. Inspired by the memory, her children “curled up” with their mom to re-read the story years after encountering it. The anecdote vividly demonstrated the complementary benefits of reading together, of books in the home, and of their social-emotional as well as cognitive value. *The ECE workforce, because even though “literacy starts at home” (and parents of varying literacy levels can support kids’ language development), teachers of young children are highly influential and, she said, are too often “at risk for functional illiteracy” themselves, with one study suggesting as many as one million ECE teachers nationally are in that category. Declaring respectfully that “we need to do better,” she noted requirements for July 2017 and July 2020 that will gradually demand that half and then all of the “lead teachers” in Connecticut’s state-funded early care and education programs hold at least a bachelor’s degree. Moderator Laura Raynolds summarized the three presenters’ concerns and insights. As an educator of teachers, she sees how expectations for what children are to learn in kindergarten have “risen,” with the result that “pre-K is a lot like kindergarten used to be.” Concerned about “equity” and the early appearance of achievement gaps, she observed: “As a society, we really have to think about putting more investment” into high-quality early learning. Panelists responded by elaborating on their earlier themes. 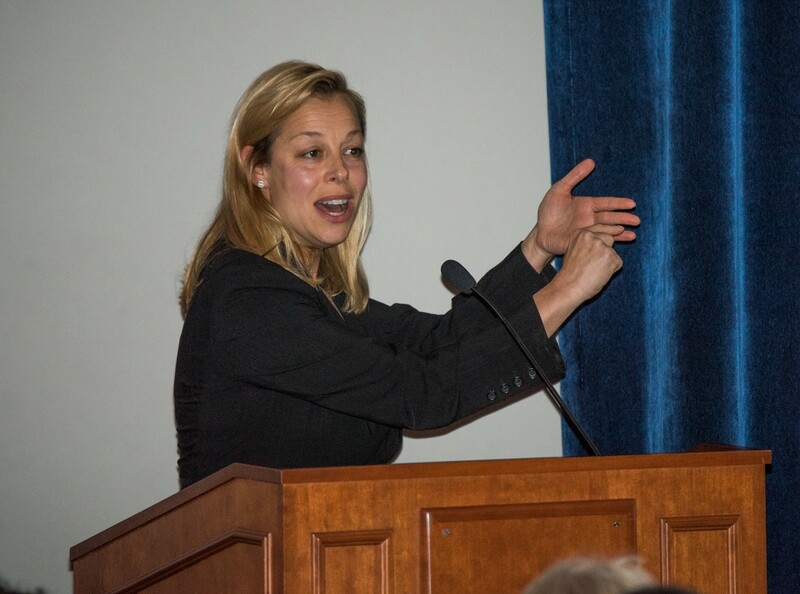 As all of the speakers had recognized the integrated dimension of social, emotional, and cognitive learning, Perri Klass emphasized how meeting people “where they are” and connecting with them (whether parents or children) as early as possible is advisable in medicine and education alike. Her experience with Reach Out and Read, and Julia Irwin’s with Read to Grow, emerged as examples. 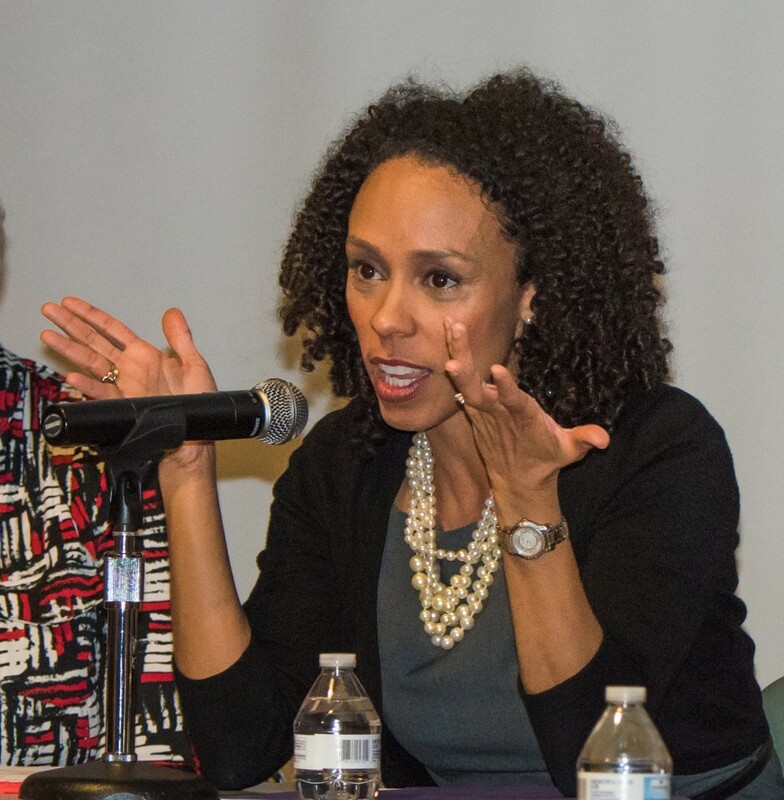 1) The November 19 event was Myra Jones-Taylor’s second appearance in the Literacy Forum series. Previously, she participated in a 2013 program, “It’s about WORDS,” with Sandra Malmquist and Cyd Oppenheimer. An organization working — including via Twitter — to #CloseTheWordGap is Too Small to Fail. 3) Besides the Center at Harvard and SCSU itself, the Yale Child Study Center is an additional university resource. 5) In a 2014 Washington Post article, Maryanne Wolf was quoted: “We can’t turn back…. We should be simultaneously reading to children from books, giving them print, helping them learn this slower mode, and at the same time steadily increasing their immersion into the technological, digital age. It’s both. We have to ask the question: What do we want to preserve?” More on Maryanne Wolf’s work can be found in the New Yorker and on WBUR. The Literacy Coalition of Greater New Haven — sponsor of the Literacy Forum series — is a nonprofit, all-volunteer organization with a mission to promote, support, and advance literacy for people of all ages. Visit LiteracyEveryday to share or obtain information on free events, resources, and ways to get involved in pursuit of a region of readers. 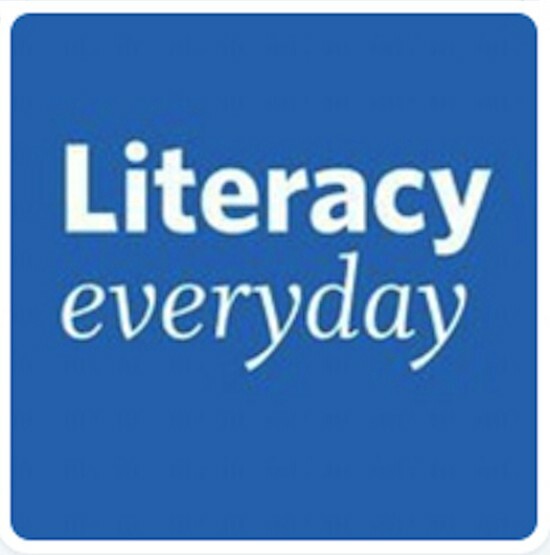 The LiteracyEveryday site has portals to Get Help, Volunteer, Donate, and Learn More, as well as a blog, News/Events calendar, and presence on Facebook and Twitter, @LiteracyGNH. There is a need for additional volunteer tutors and mentors at such organizations as the Boys and Girls Club, Jewish Coalition for Literacy, Junta for Progressive Action, Literacy Volunteers of Greater New Haven, New Haven Public School Foundation, and New Haven Reads. Neighbors are invited to visit the Literacy Resource Center on Winchester Avenue, in space at 4 Science Park donated by Science Park Development Corporation. The Literacy Resource Center, or LRC, represents a partnership among Concepts for Adaptive Learning, the Coalition, New Haven Reads, Literacy Volunteers, and the Economic Development Corporation. Upstairs in the same building at 4 Science Park are the offices, classrooms, and art gallery of the Connecticut Center for Arts and Technology (ConnCAT). • Bolstering literacy in other ways, such as through donations of money — whether directly, via the Community Foundation or the United Way — or of books and by advocating and voting. This article first appeared in the New Haven Independent.